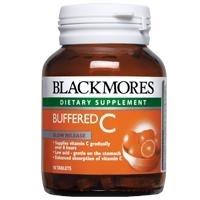 Blackmores Evening Primrose Oil 1 g contains cold-pressed EPO. EPO is a natural source of the important omega-6 fatty acid gamma-linolenic acid (GLA). Low levels of GLA have been found in women with PMS and adults as well as children with eczema. Natural Vitamin E Cream is a rich moisturising cream to nourish and protect your skin. Please refer to label for instructions. Use only as directed.